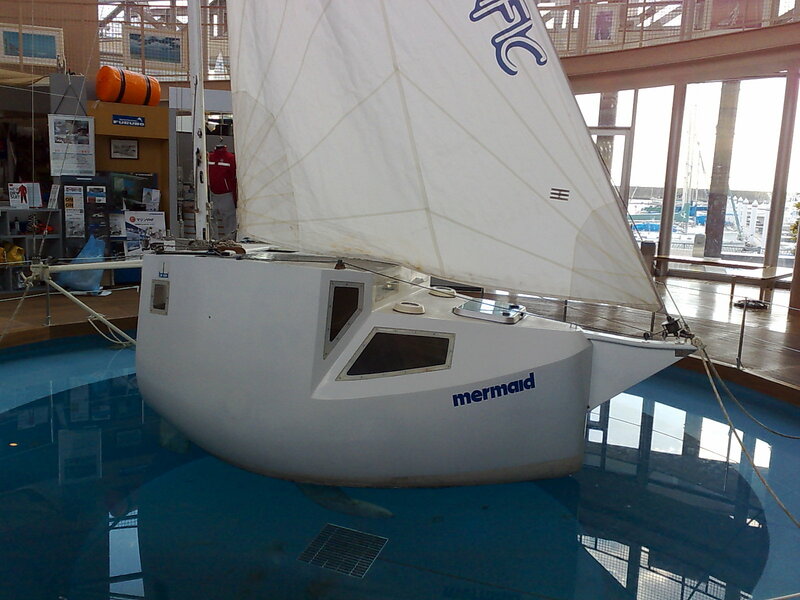 Believe it or not but this little sailing boat is used to cross the Pacific Ocean. Whether crossing the Pacific, solo in a yacht no bigger than the everage bath is a wise thing to do is another thing all together but it is a impressive thing to do. 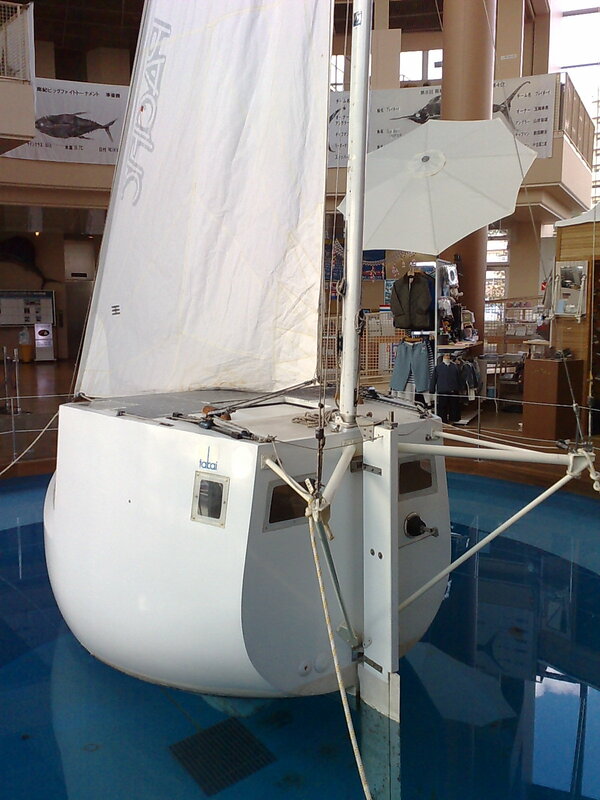 Unfortunately the boat the japanese yachtsman Kenichi Horie used for it is rather ugly. Fortunately for him he didn’t have to look at it during the whole trip. 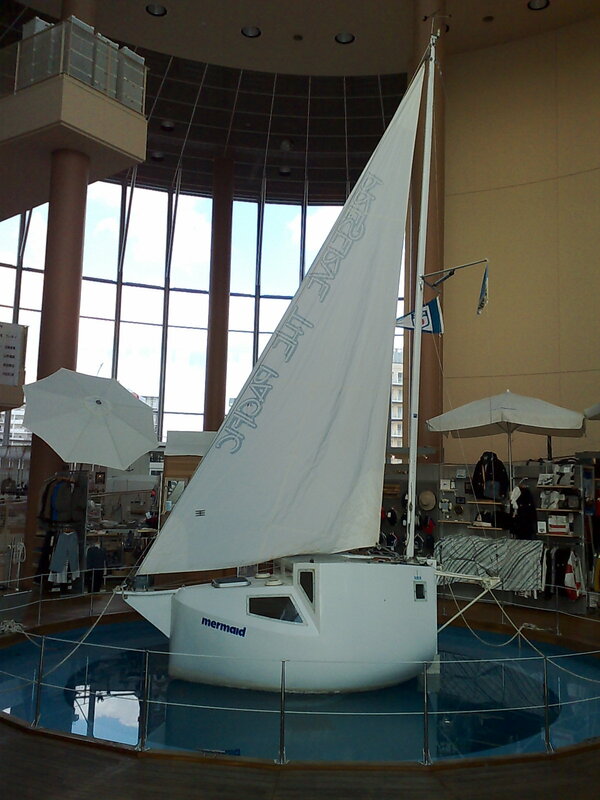 The little boat is now displayed at the in a pond right in the middle of the clubhouse of the Shin Nishinomiya Yacht Harbour nearby Kobe, Japan. 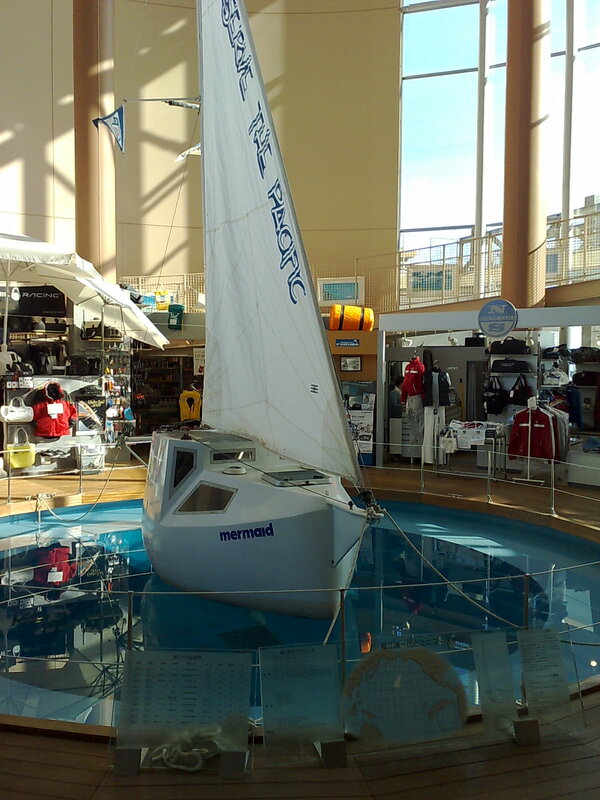 I wonder whether the display of this little boat does put people of the food and drinks they were gonna have in the clubhouse…or even worse: if it puts them off yachting all together. It would do it for me!! Thanks to strandedmariner whose website brought the above to my attention. The ‘pond’ in question if you take a little better look at it the yacht club hot tub! It does give a sense of scale of the boat if that is what it was displayed in.